We embrace the full range of zombie-fighting weapons, extending beyond the typical knives and axes. 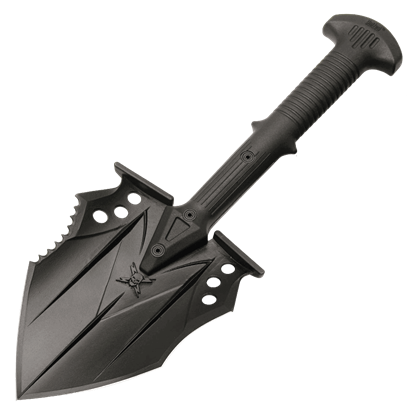 Our range of zombie survival shovels are capable of inflicting brutal blunt force trauma in addition to serving as effective survival tools. 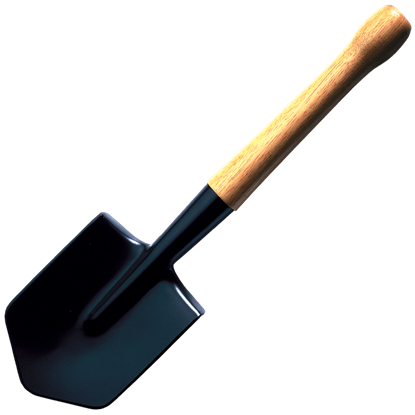 These utility shovels come in various designs like tactical shovels, military shovels, claw shovels, folding shovels, trench shovels, and more. 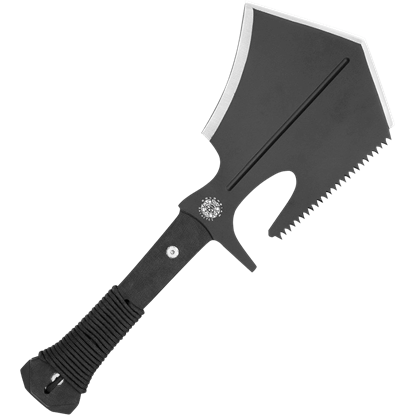 In addition to bashing zombie heads, they can be used for digging trenches, planting gardens, clearing paths, removing debris, or even chopping in extreme situations. Many of these designs are crafted from heat-treated carbon steel, sturdy stainless steel, fiberglass, hardwood, and other high-quality materials. These functional shovels are nothing if not rugged and effective wilderness survival tools, making them ideal picks for a bug out bag or home arsenal. The M48 Tactical Shovel is the ultimate heavy-duty shovel, as well as a fine defensive weapon. You can use it to dig trenches and work around camp, and then turn around and smash, slash, and bash zombie heads with ease! Never underestimate what a good shovel can do. This Special Forces Shovel was designed to be great, not just good. Modeled after the Soviet Spetznaz shovel, this item is a survival and utility tool and potential self-defense weapon.